UMass Lowell is a national research university committed to preparing students for work in the real world— solving real problems and helping real people— by providing an affordable, high-quality education. 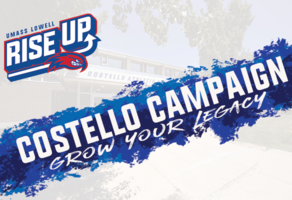 We hope you will join us in supporting the Costello Renovation Project to complete our facilities transformation. 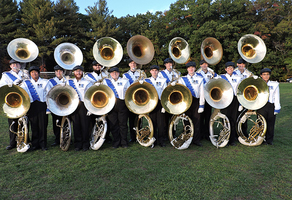 Marching Band at UMass Lowell to raise funds for Sousaphone purchases. For every 1 musical instrument we buy UML will match 1. Donate Now! ​3 Years, 2 Days, 1 Tremendous Impact. This is UMass Lowell's first-ever Days of Giving! Our goal is 480 donors in 48 hours to unlock $48,000 in challenge funds! Give TODAY! Give today! When our class reaches 64% participation, donors will give $10K to be used for Inspirational Grants up to $1K to UML students. 4th Annual Rowdy Cares with Bears! Engineering Students Campaign for the Design and Implementation of a Septic System at Haitian Orphanage Project Hope. This is UMass Lowell's 2nd Annual Days of Giving! Our goal is 2,500 donors in 48 hours to unlock challenge funds! Give TODAY! Double the impact of your gift to a scholarship in honor of Larry Siegel while supporting UMass Lowell students who need your help. Make a difference in the success of UMass Lowell Nursing Students to address our nation’s need for a more diverse nursing workforce. Hawkapella's 10 Year Anniversary Album! We are celebrating 10 years of brotherhood and sharing our music. Please support us so we can continue sharing our music with the community! UMass Lowell Manning School of Business students invited to attend Luncheon and Q&A session with finance guru, Warren Buffett, in Omaha, NE. 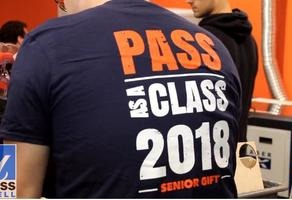 Make Your Class of 2017 Senior Gift to Leave A Legacy that Outlasts Our Time at the University! 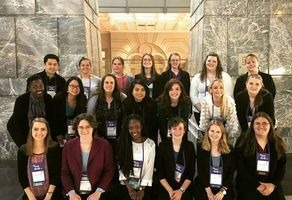 Help send UMass Lowell's section of the Society of Women Engineers to the Annual Conference in Austin, Texas this fall! 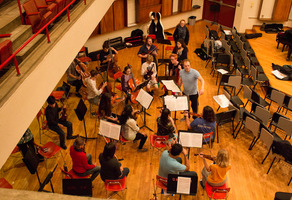 Join us and help create a documentary researching how music education impacts grade school students. Make an impact at University of Massachusetts-Lowell! Connect with other River Hawks on GiveCampus! Hawkapella's Studio EP: The Final Push!